Cleats & Couture: NFL or ESPN for Greg McElroy? NFL or ESPN for Greg McElroy? Honestly, what can't he do? 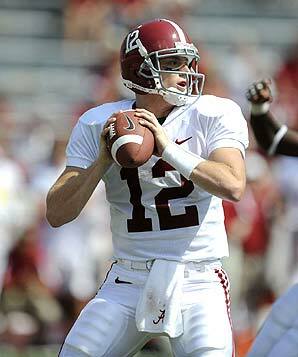 While the future for Greg McElroy is uncertain, it's certain that he'll be doing something great. Right now, McElroy is prepping to show the NFL that he's draft-worthy, he also seemingly has opportunities off the football field and out of a uniform. During the advanced coverage of the BCS National Championship Game, McElroy was invited to Bristol, CT, home of ESPN headquarters, to show them that he's not just a football player from the south. I love Greg McElroy (he even had my lucky number during his tenure at Bama), & I wish him nothing but the best, whether it's in the NFL or at ESPN.